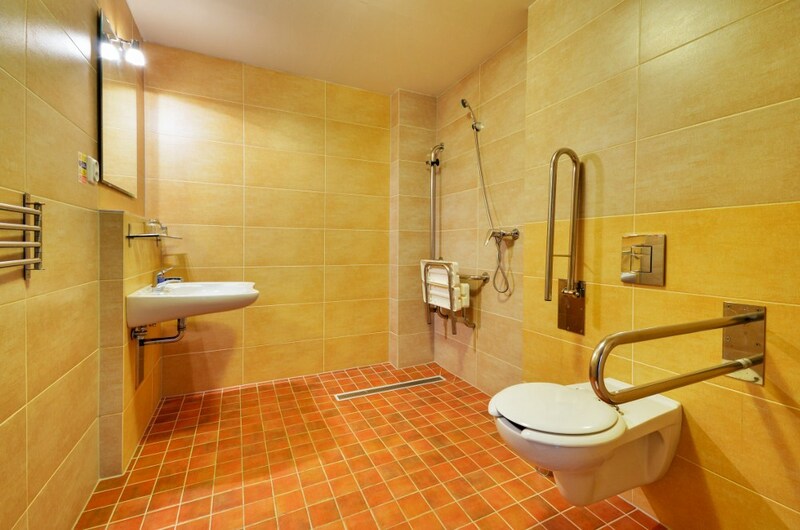 Our hotel is a suitable accomodation option for immobile people who have problems with movement. Hotel entrance and lift are not the only barrier free facilities. But also specially furnished suite with spacious bathroom with aids for immobile people. As well as other suites in our hotel, this suite has capacity 4 beds, living room part, desk, wardrobe for clothes, and fully furnished kitchen cupboard. Flat TV with satelite channels, free Wi-Fi internet, and parking by the hotel, breakfast and wake up calls are included in the price of accomodation. You may bring your pet into our hotel! The prices are calculated in Eur per one room/night. The prices are for open bars at breakfast, in the case of low occupancy, the continental breakfast is served to guests. Parking in the hotel carpark and internet connection are available to guests for free. Check-in from 2pm. Check-out till 10.00 am. Early check-in for 10 Eur from 12 o´clock. Late check-out till 12 pm. 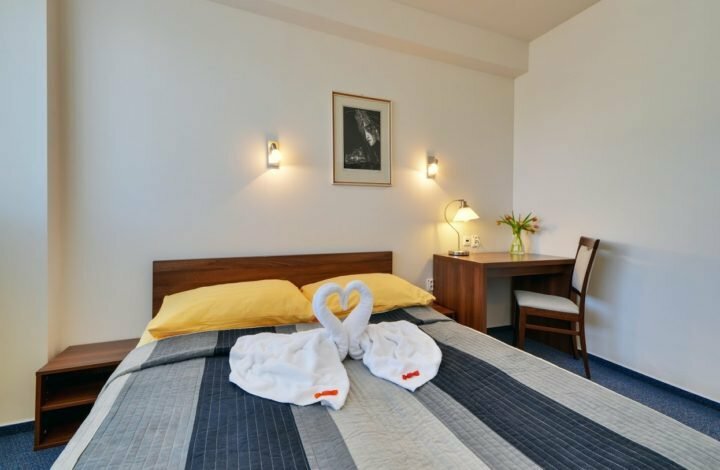 Liptovsky Mikulas and offers accommodation in modern rooms and suites. There is an à la carte restaurant serving international cuisine. Free Wi-Fi is available in the entire hotel building.